Medical education worldwide has expanded beyond discipline-based curriculum, large classroom teaching and annual assessment. Major changes in medical education now focus on integrated competency-based curriculum, student centered learning, continuous assessment and feedback. 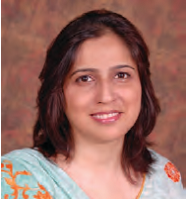 Bahria University Medical and Dental College (BUMDC) has encouraged student-centered learning methods such as Problem-Based Learning (PBL), small group case-based sessions, and Problem Solving Integrated Learning (PSIL) based on common health problems prevalent in Pakistan. 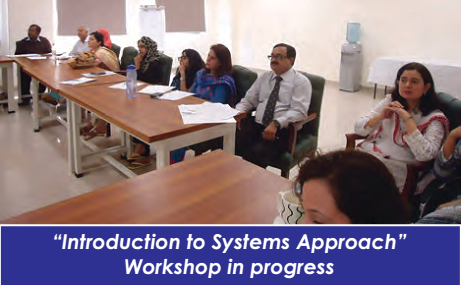 Continuous assessment and feedback through mentors and faculty are integral part of BUMDC education system. The Department of Medical Education (DME) has focused on meeting the educational needs of the health professions faculty (medical and dental) by developing a pool of trained faculty members conversant with educational concepts, changes in curriculum practices, newer teaching and learning methods and skills in writing quality test items. Faculty development programs focus has been on educational theory and principles applied to implementation of learner-centered approaches, and structured assessment process. Participating in faculty development programs is mandatory, and for this purpose faculty experiences interactive, practical and hands-on workshops that raises awareness and clarifies educational concepts on practices of medical education at BUMDC. Workshops are primarily focused on integrated curriculum, current and effective modes of medical teaching and assessment and research. Few examples of workshops include: planning modular teaching, mentoring, research methodologies, writing problems for PBL, PBL process, MCQs and other methods of assessment. Finally self-reflection and critiques of teaching techniques are vital to propel medical schools towards promoting and aiming for uncompromising excellence in medical educations. Students’ feedback on regular basis enhances quality teaching and assessment practices. DME also extends support to the Department of Examination of Bahria University (Islamabad) on planning and implementation of workshops on MCQ for colleges affiliated with Bahria University. DME department is located on fifth floor of the BUMDC building.